In Delaware, friendly debates over who has the “Best Sunday Brunch” are routine. Some favor dining at restaurants that have the classic breakfast menu, keeping the focus on tradition and value. Others proclaim reverence for the restaurants that work to give their food a distinctly gourmet edge (the Delaware beaches seems to be hotspots for these gourmet brunch restaurants). Whatever your preference, you should find bliss in this roundup of top brunch restaurants in Delaware. Home Grown Café: Inventive fare, a cozy setting and vegetarian/vegan options help Home Grown Café stand out. Deerfield: Legendary for its seemingly endless array of options. 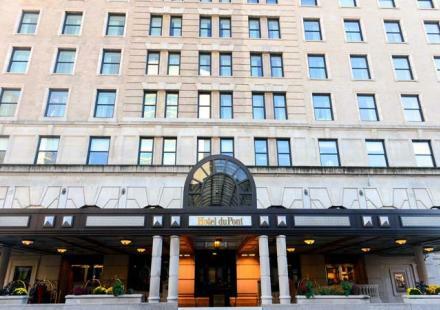 Green Room at Hotel Du Pont: This is where to find breakfast with a side of elegance. 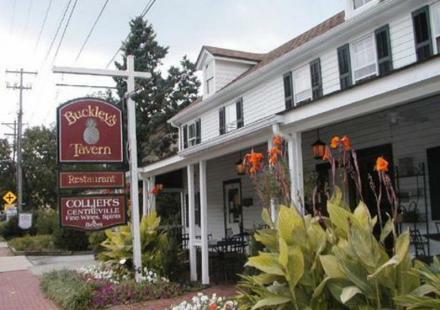 Buckley’s Tavern: Known for its “family-style pajama brunches,” Buckley’s knocks 5% of your bill when you arrive in your PJs. Abbotts Grill: Crab Crepes, a raw bar and Red Velvet Pancakes keep the crowds content. Smyrna Diner: This iconic stop on the Delaware Culinary Trail keeps it old-school with classic breakfast items and home-style cooking. McGlynns Pub: The Dover location of this Delaware favorite keeps them stuffed with crowd-pleasing creations such as Eggs Chesapeake (with crabcakes and hollandaise). Back Porch Café: Classic French sensibilities and a delightfully beachy mindset make Back Porch a favorite. Bethany Blues: Barbecue for breakfast? Yes, please. Fork and Flask: This foodie favorite favors surprises such as Elvis Pancakes and Smoked Salmon Crepes. Victoria’s at the Boardwalk Plaza Hotel Dine on Bananas Foster French Toast, cream of crab soup, and of course, a couple of mimosas while enjoying oceanfront views. For more dining suggestions, search through online listings and reviews or travel the Delaware Culinary Trail.